One of my favorite aspects of events like World Conference and International Convention is reading through all the comments, feedback, and emails we receive from UnFranchise Owners who share their experiences and thoughts with us. It’s always so special to read about the impact these types events have on your growth as a person and an entrepreneur – and right now I’d like to share a small sample of the feedback we’ve recently received from #MAIC2018. 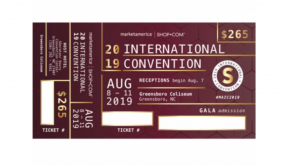 Feel free to leave a comment of your own and tell me about your experiences at International Convention! Carmel Steward Shopping Annuity is in full force and we have to use it & share it to get the full benefits and see it work at its full potential. Bernard Lafleur What I got clearly was as follows. Shopping Annuity has landed and is here to stay. It Has and will continue to revolutionize our shopping habits. MA continues to make our Annuity easier by increasing the amount of products to attain our SA consistently. The other brilliant part was Ayden personifying the future generation and how we are or will need to pass the baton for the new generation to continue the process and externalizer SA. Awesomely done. Bruce I. Swartz Too often I have just wanted to retire from everything. At 68 I felt I had put in all I had to offer when it came to work. My wife Cheryl said we just had to go and that was that… but after Loren’s powerful presentation and your Sunday breakout JR, a spark once again ignited. 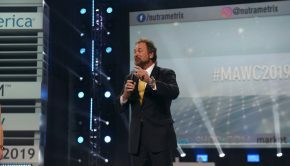 It is NOT about me, it is about so many who do not know about this great company called Market America… so out we go, with a new purpose in life. Thank you all for a great International Convention!!!!!!! Alan Gardner It all worked from day one the way it was supposed to, why change it. Turn your clock back and let’s get going it’s never too LATE!! Ruishan Chow One of my magic moments was watching JR run onto stage, full of passion and so eager to share with us the concept of Shopping Annuity. The epitome of selflessness, generosity, passion, genius and love for people. Carmel Steward The event was over the top. It’s embarrassing to say, we have been connected to Market America since 2006. achieved Executive Coordinator in Milwaukee moved to AR 2007 we’re now Coordinators striving for Directors. The entire team impacted us but highlights were Day 3 when Loren began working on our thinking. She also encouraged us to Commit the next 6 months to Basic 5, HBP etc. Loren said, “When you transform lives, God will give you more than you need”. Confirmation of what our team talked about before leaving for Greensboro. On the same day you asked for permission to program our brains? Thank You!!! God’s law of attraction, which He gave us, the ability to choose, think & create, God gave us dominion. You, Loren and other leaders have gotten money out of the way to do what God put you on this earth to do. We have the same vehicle, I’m determined that we are now achieving our goals, it’s painful but it will be well worth it, to see so many families improved. I’m ready! Also our team toured the headquarters Sunday, on one of the last hallways the words; Decide, Commit, Succeed. Like never before I believe Team Pine Bluff, AR has done that and we will show all with our RPAs giving God all of the glory every step of the way! Thank you for the best event yet!!! Shopping Annuity has landed in AR & all around the world, no limits!!! Shawn Walch This was the event I’ve been waiting for. The “back to the basics” nitty gritty was what I really NEEDED. There was no fluff. I came back from this event with a real sense of purpose and drive. I was blown away by the segments you presented and how raw and real it was. Change happens, and it is always with the MPCP at the pinnacle of priority. The was a real sense of purpose and flow thru this event. Sunday was a great additional day and the more casual format was top notch! The fact that the slide shows and videos are already available make bringing the knowledge to the teams that could be there very accessible. So much appreciated. 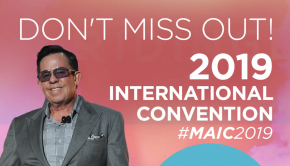 JR Ridinger what you and the corporate company have done is really going to secure the future and propel us all into the future. Mary Sigwart Hollingshead I have so many wonderful memories and nuggets from MAIC 2018! The one thing that stands out to me and I have been doing since coming back from convention is when someone says something negative to me I think of 5 positive things. I am changing the way I think & getting brain surgery! Thank you JR Ridinger! Sarah Andrews I went to #MAIC2018 with 3 others on my team, 2 of whom have been to Miami and Greensboro prior. While traveling I heard them saying they were not planning to go to Miami… they didn’t see the importance of going twice per year. I didn’t say anything except “if that’s how you feel about it.” My thoughts were if they have consistently been to conference three times now, and can’t see the value! I just shook my head. Then while at conference at dinner the conversation changed! (Which was my favorite part of conference) They all were saying ‘Now I remember why we go to conference twice in one year! You don’t get to see the passion first hand, and have things explained precisely how we need it! We belong at conference! If we don’t go that will duplicate, do we really want that for our team?’ Then we all started putting together a plan on how we would conduct future trainings and events. Now I’m thinking back to seeing all the directors who gave advice – the essential get your tickets and come to conference! SO TRUE! I could not motivate my team alone! And training your brain is a choice, so I’m glad to know I have the right people on my team who now get it! (Learning how to train our brain was my second favorite!) Thanks, JR Ridinger and Loren Ridinger. Thank you for the platform you’ve given us, the impeccable training, and countless hours spent to make sure we are all equipped with what we need to be successful! We appreciate you!